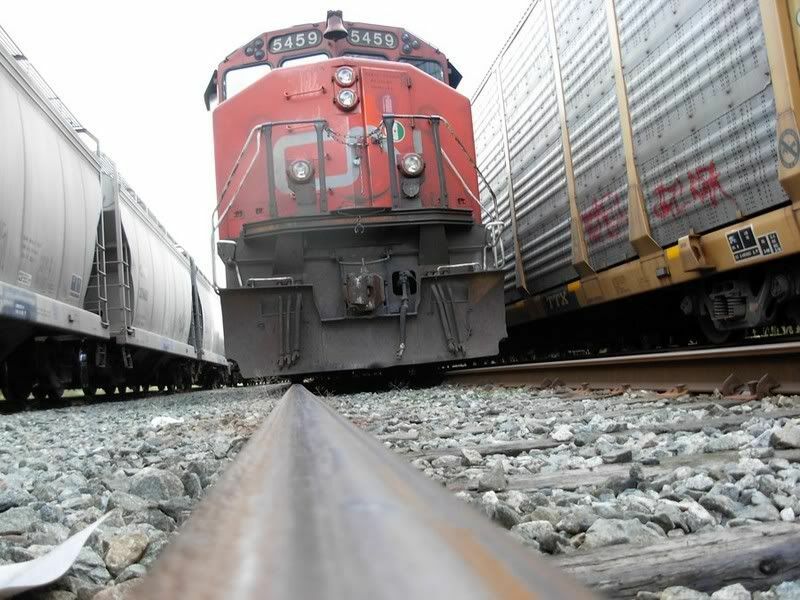 I've seen a few railroad pictures on here and I thought I'd start a thread where everyone can post their railroad photos. 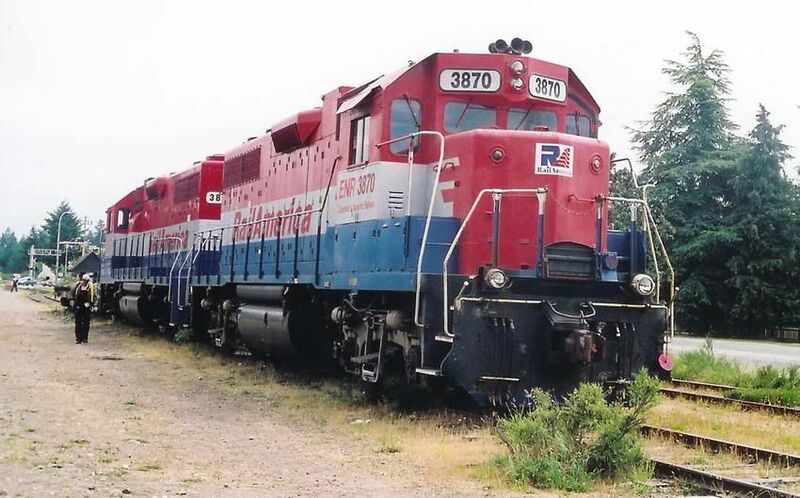 E&N Railway(RailAmerica) freight train at Langford, summer 2004. My train at Thornton yard in Surrey. 5379 is a former Union Pacific SD40-2 that CN bought about 15 years ago. What do you mean there's no track?? 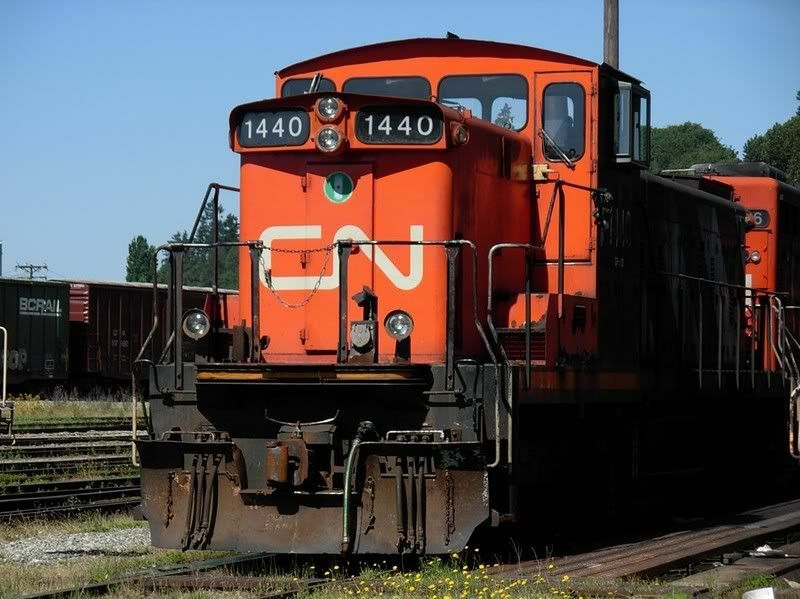 CN 1440, the only difference between 1440 and the GMD-1 in the last picture is the 1440 has the control stand set up so that the short hood is the front. While the other GMD1 is set up with the long hood as the front. Parking the power at the end of the day. Shop tracks at Thornton yard in Surrey. Remote Control Locomotive at Thornton. 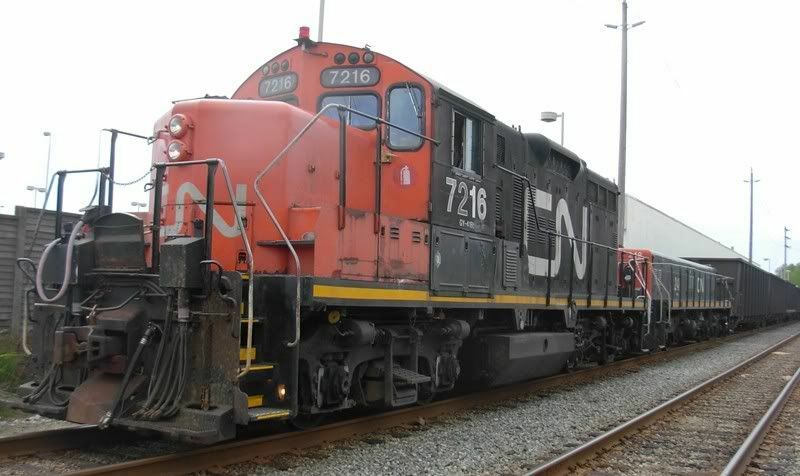 The Thornton yard assignments use the Remote Control locomotives, while road trains and industrial assignments still require a locomotive engineer. Yard power at Lynn Creek. 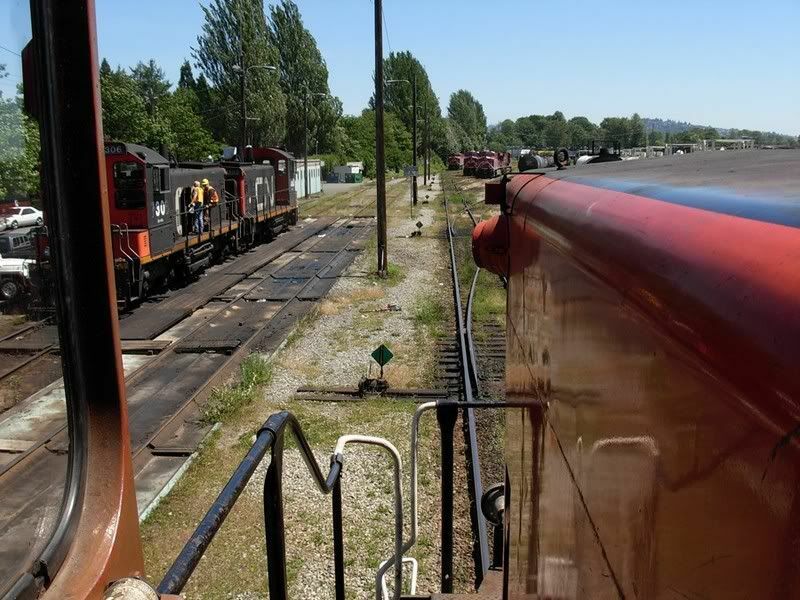 All yard assignments at Lynn Creek use Locomotive engineers. The only time you see a Remote Control assignment is when one comes over from the old BC Rail to take traffic to and from the old BCR. 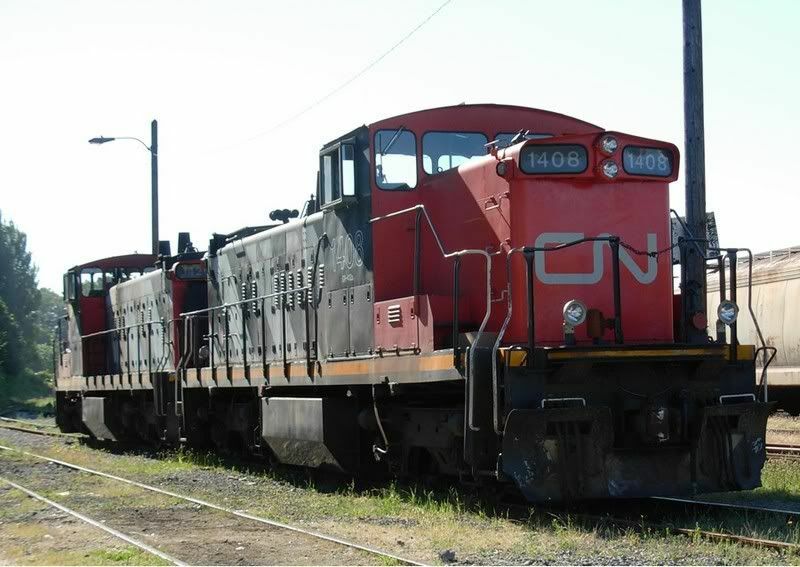 The guts of a CN SD50F. 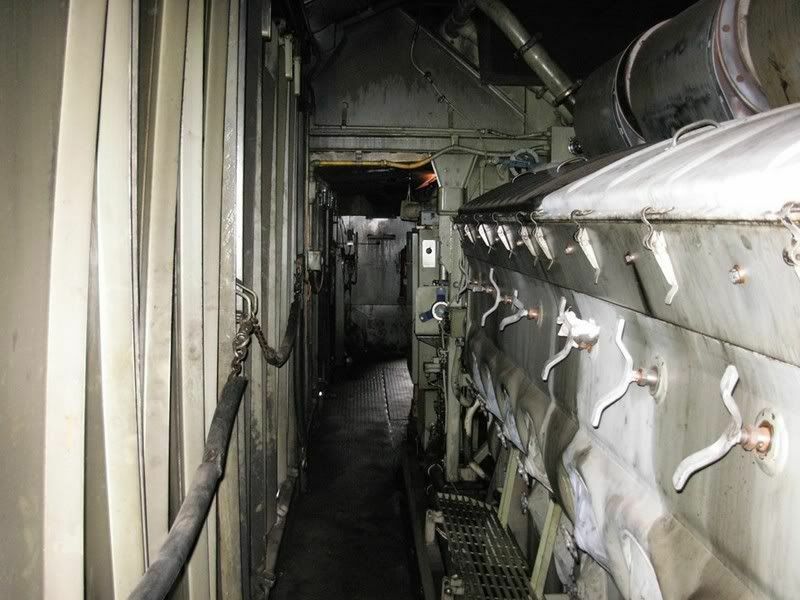 A V-16 3200 hp EMD 645 engine, turbo-diesel. 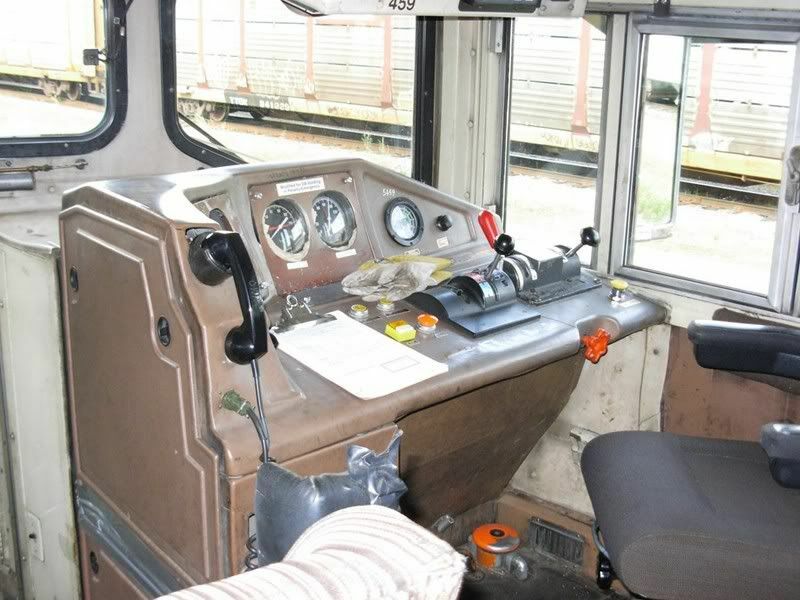 Cab of the same SD50F. Looking at the conductor's side. The guts of what 'we are' are always most welcome, thank you for those Tyler; I do love examining the career of who make our membership in photographs, let alone the fact that I so admire the concept of railway. Biggest GMC I've ever seen. 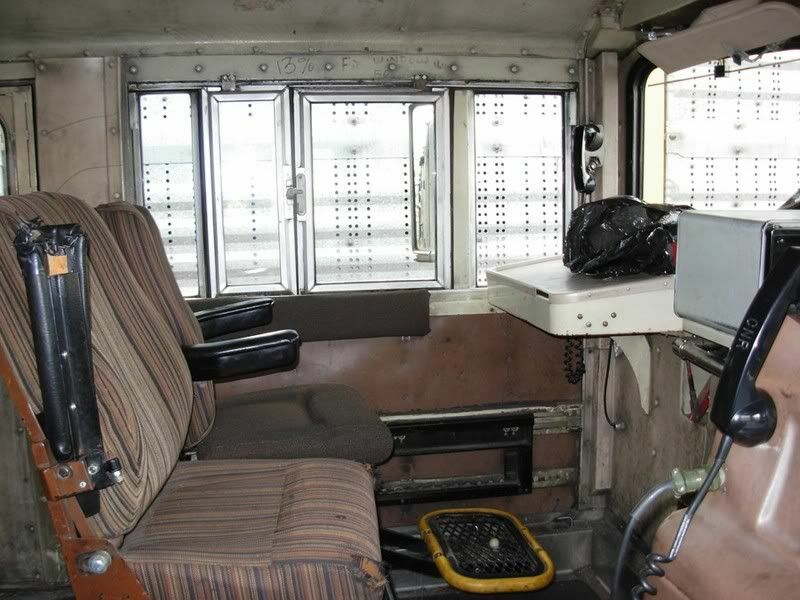 Built in the 1980's by GM Diesel Division. Just make sure you have hearing protection on when you walk through the engineroom on those things, they're loud even in idle. The GE's for some reason aren't as loud, they just chug away quietly. More from the other day, had to wait for this guy to get through the New Westminster yard and over the Fraser river bridge before I could get to work putting my train together. Had a chance to take this artsy fartsy shot. peek-a-boo. At the Westminster Quay. In your face shot of a classic. 1956 vintage GP9RM 7066, rebuilt in 1990. With the 7306(also 1950's vintage) beside her. These were the locomotives that replaced the steam engines on the CNR. 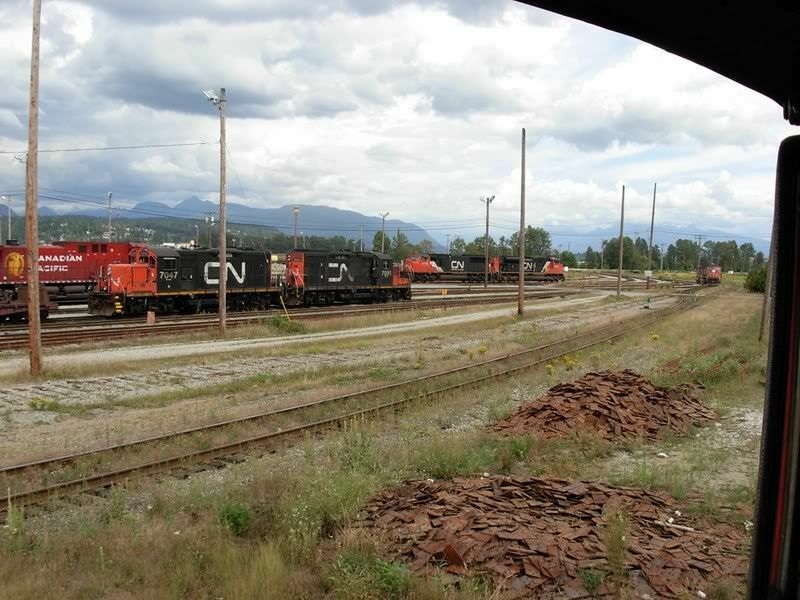 When they were new, the GP9's were the big road train engines. The beater, 7263, up here from Memphis, TN. 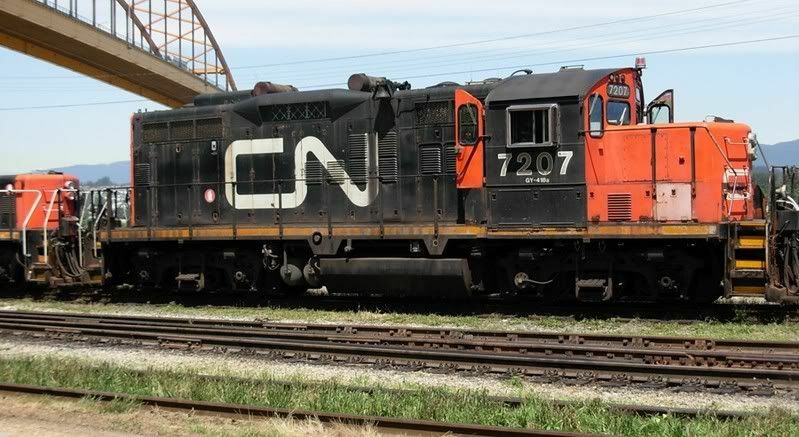 CN 7207, One of the better beltpack units. A little rusty but not bad considering she turned 50 this year, and 22 years since she came out of her rebuild. 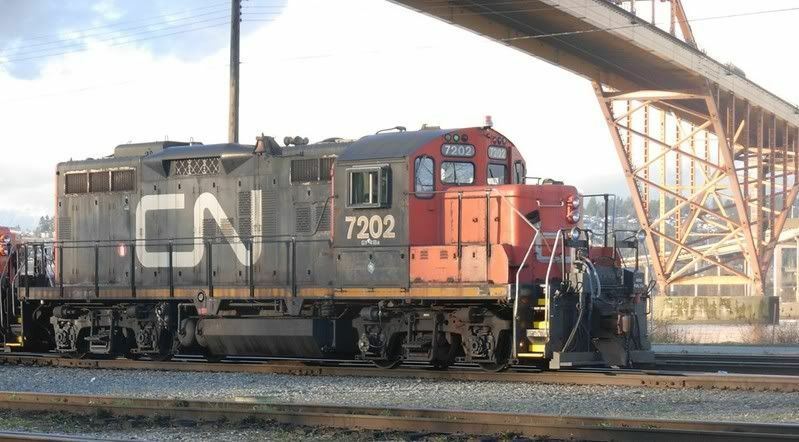 CN 7202 under the Port Mann Bridge. According to CN's website the Lulu Island Branch line from Mile 9.5 to mile 16 will be abandoned. 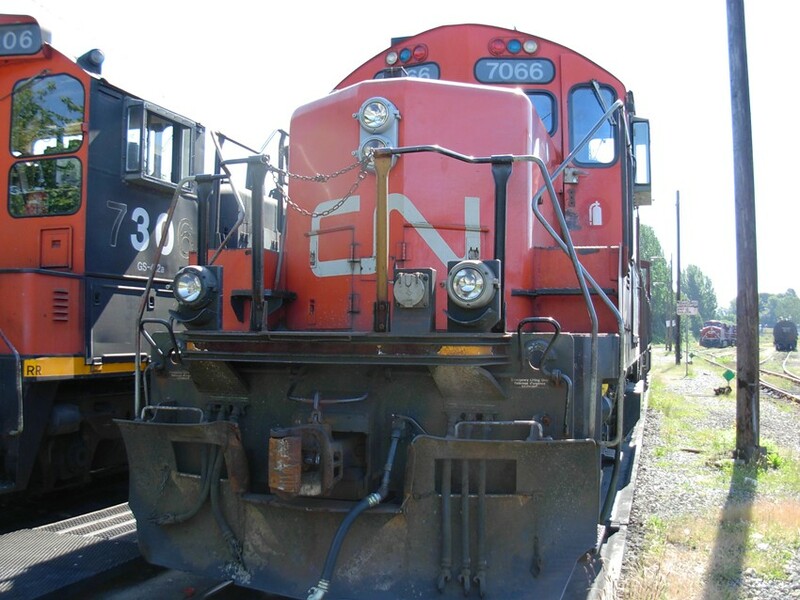 CN is working on building a new connection to Fraser Wharves off the Ewan Branch near No.8 rd and Blundell. While I find this interesting, I have no point of reference for these locations (the first one anyways). I take it that there is no longer any traffic that uses this length of track? Do you know if it was a specific industry/client that closed down that lead to this closure of length of track? 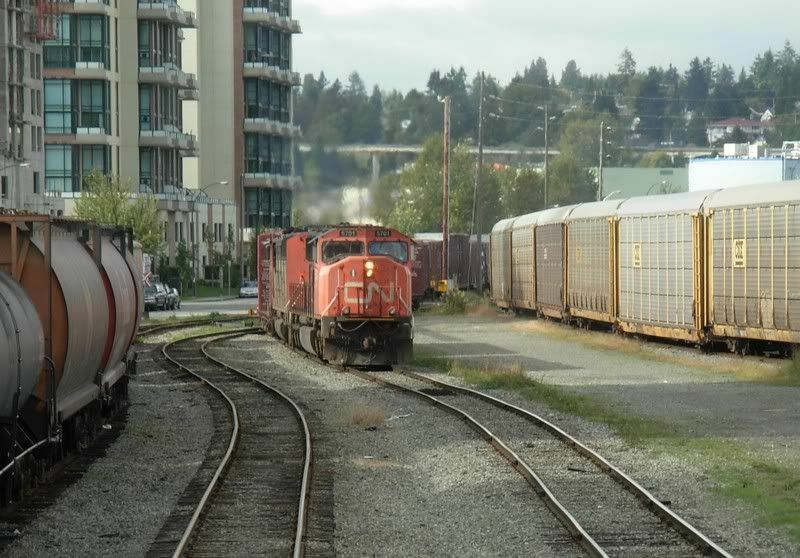 Actually it's fairly busy stretch of track, the main reason CN is pulling up the rails is because of all the dangerous crossings through Richmond. The new line only has one or two crossings compared to the 20 or more on the current line. The 08:00 Toyota Job goes out to Fraser Wharves every day, CN also makes extra runs out to Fraser Wharves depending on how busy Fraser Wharves is. It's been a while since I've been called for anything at Lulu Island, but if I'm not mistaken, mile 9.5 is just west of the Knight Street Bridge and I believe mile 16 is near Deas. 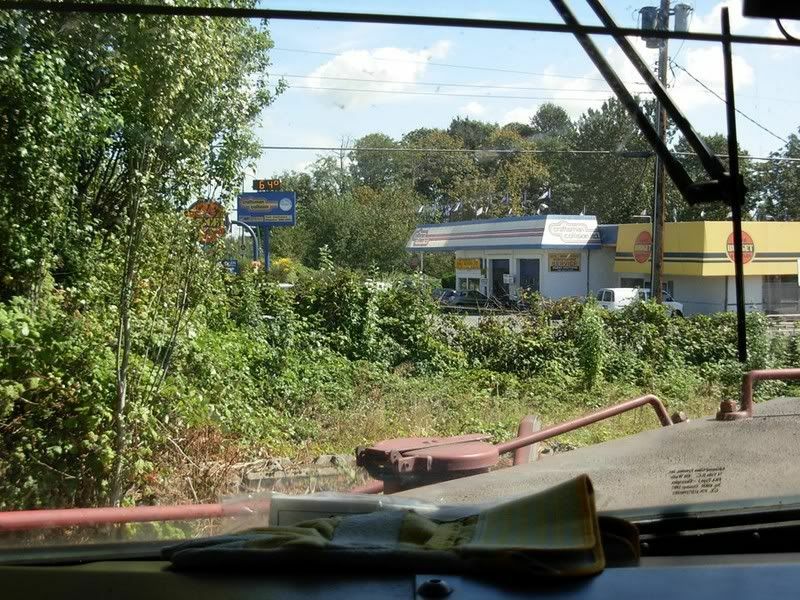 To help clarify this a tad, would this be the Shell Rd. line in Richmond? Yep, the line along Shell Road. Do you have a link to this story? I looked on the website and found nothing. This line runs right past the industrial park I work in and find this really interesting. I gather that the route that is to be abandoned would be the one marked in red on this map. 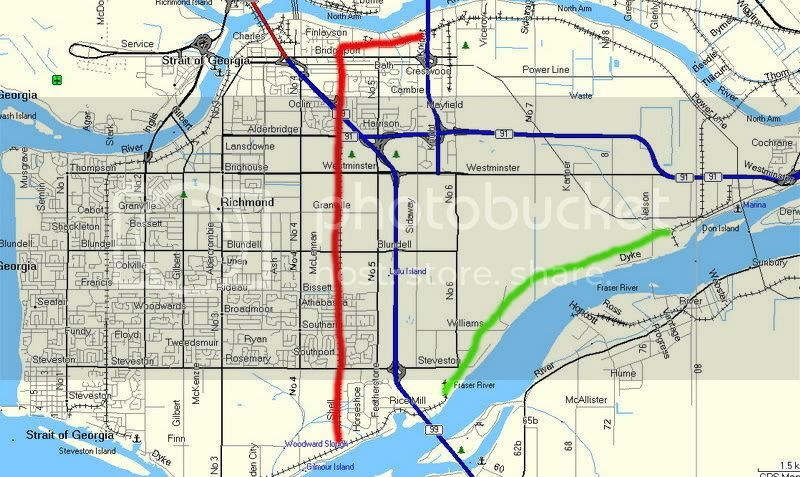 The replacement trackage, I expect, will connect with existing trackage in east Richmond by a new route along the shore of the Fraser River main channel as marked in green here. Can you confirm? Although surprising to begin with, there is also a significant connection to BCFS in this story; thanks for reporting this, Tyler. One serious impediment to further expansion of Deas Dock (Deas Pacific Marine, BCFS's in-house refit facility - "BCFS Fleet Maintenance" as per the signage) just west of the Massey Tunnel of Hwy. 99, or proper planning and development of the industrial land surrounding Deas, is this very same rail line. If the line was to be relocated east of the Fraser River wharf that is a major portal for Asian-built automobiles being imported constantly aboard car carrying ships then it would quite literally square up the land near Deas that has long had signs posted indicating proposals to re-zone it. Please keep us up to date on this, Tyler, many thanks. 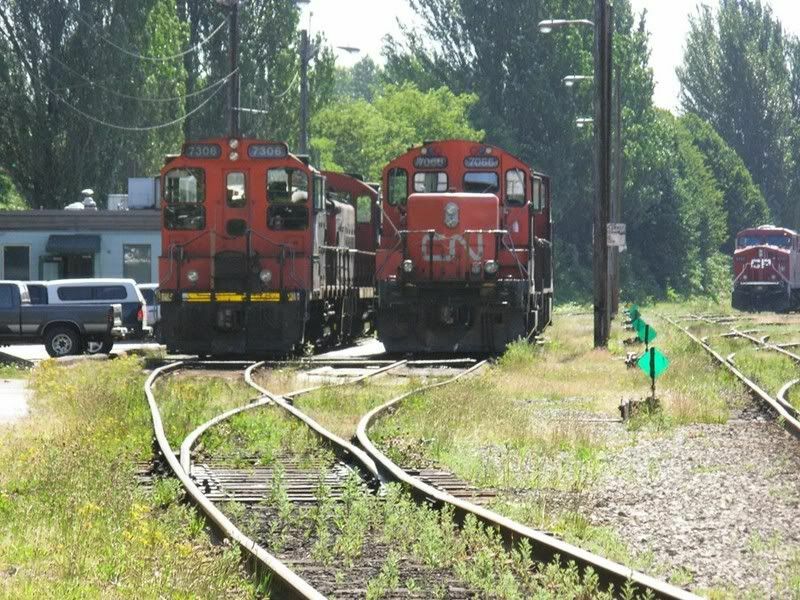 I believe the rails will remain in place along side Deas, to serve the customers west of Fraser Wharves(there are 3, one at the end of the Steveston Branch and 2 on the Lulu Island Branch) that still require rail service. Any idea when this may happen? I just saw an article about a CN locomotive that suffered "catastrophic" engine failure last month down in Independence La. An entire cylinder pack shot off the engine, through the side of the locomotive and crashed through the roof of someone’s house! Hell of a projectile, and I bet it scared the pee water out of the crew! That is a pretty humourous sight to imagine. It is a good thing no one got hurt too. A question for anyone out there: why does CN buy the ES44DC as opposed to the AC version. Is it because of money or just unnecessary for the grades. AC is more expensive than DC, CP buys AC locomotives because they are better pulling engines on tough grades. 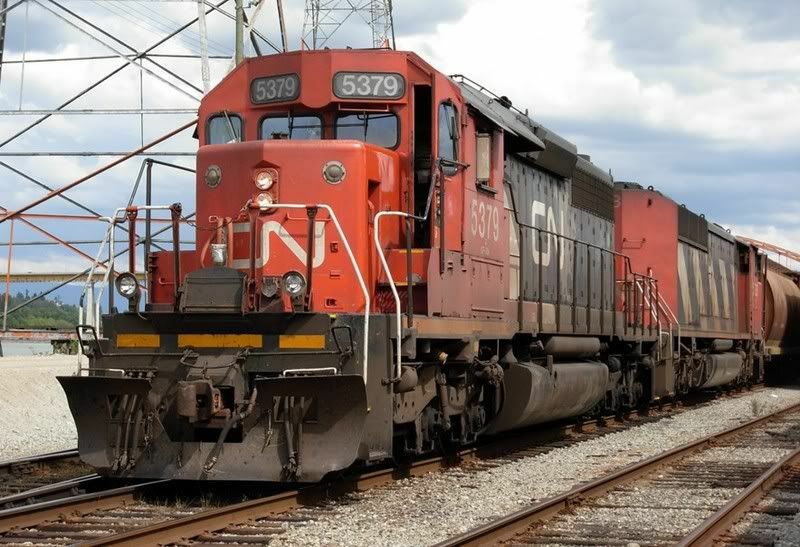 Outside of BC Rail, CN does not have the steep grades to justify buying the AC locomotives. 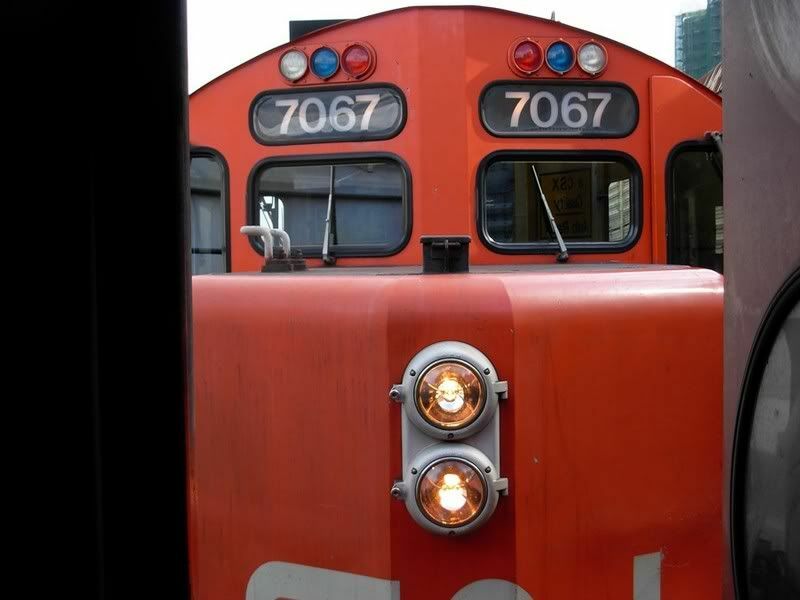 In fact, on the transcontinental main line, the steepest grade is the Lake City Hill in Burnaby and the Grandview Cut on the New Westminster Sub. "New"(to Vancouver) Beltpack engine. CN 7216, from Melville, SK. 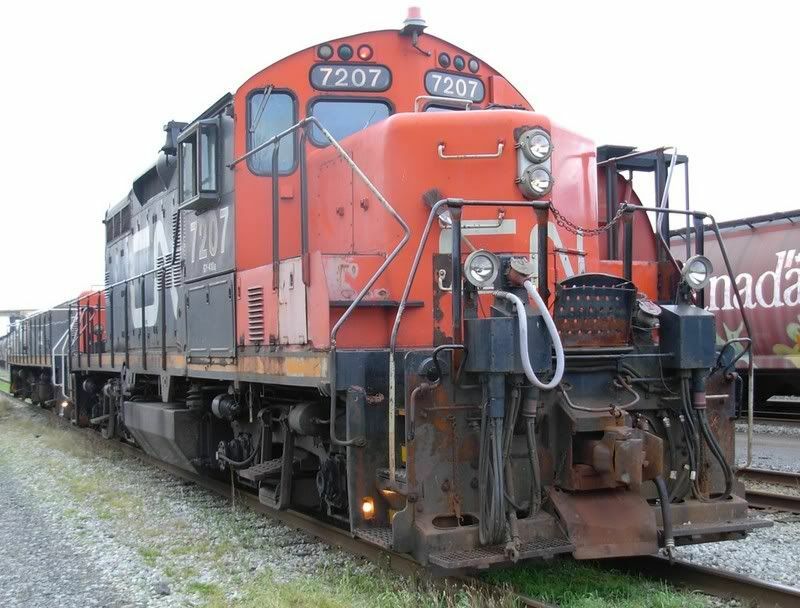 Between it and the 7263(from Mississippi) they've finally replaced the 7204 and 7205 that were retired last year.